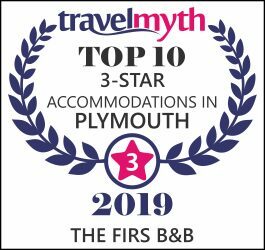 The award-winning Firs B&B Plymouth run by Tony and Lesley is situated a few minutes walk from the famous Plymouth Hoe seafront. 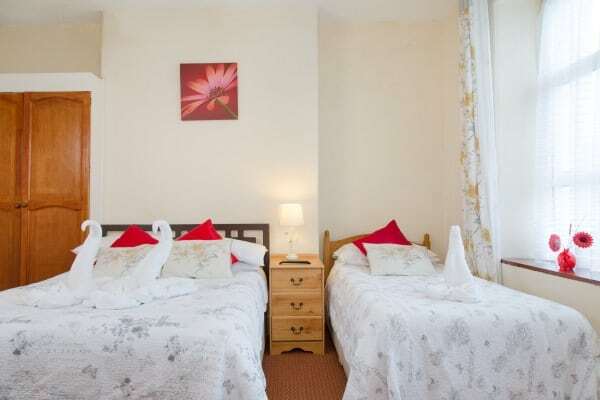 This Bed and Breakfast in Plymouth – Britain’s Ocean City – is also situated close to a wealth of tourist attractions including The Pavillions, The Barbican, Plymouth University, the Elizabethan Quarter, an excellent Aquarium, and The Theatre Royal. 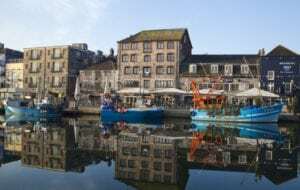 Plymouth has a fine modern city centre together with a whole variety of restaurants and entertainment. And every September Plymouth University also holds its Graduation on Plymouth Hoe. The railway station is close by, as is the coach station. Also in close proximity is the ferry port. The Life Centre is situated at Milehouse, as are Plymouth Argyle and Plymouth Albion Rugby ground. There are also facilities for fishing, swimming in a municipal pool or in the sea, tennis courts, crazy golf and a play park for the kids. Various organised boat trips run from the Barbican – these include fishing and various sightseeing trips. There is also a land train that takes you around the Barbican and Plymouth Hoe. We are also close to the Mount Batten Centre. To book your stay, please call us directly on +44 (0)1752 262870 or book online. 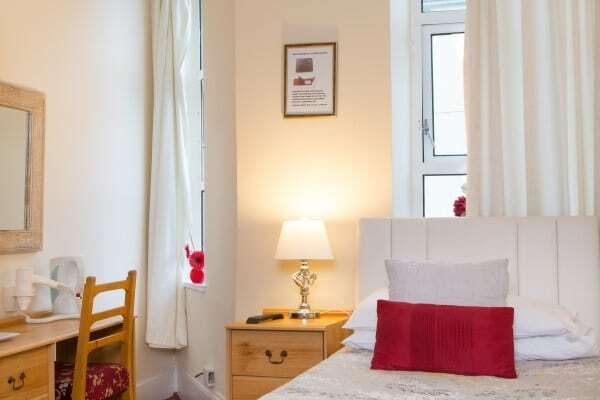 All rooms are equipped with colour Televisions and have complimentary Tea and Coffee making making facilities, plus Hot Chocolate and Biscuits. Some rooms have hair dryers. Additional hairdryers can be provided on request. Irons and ironing boards are available on request. 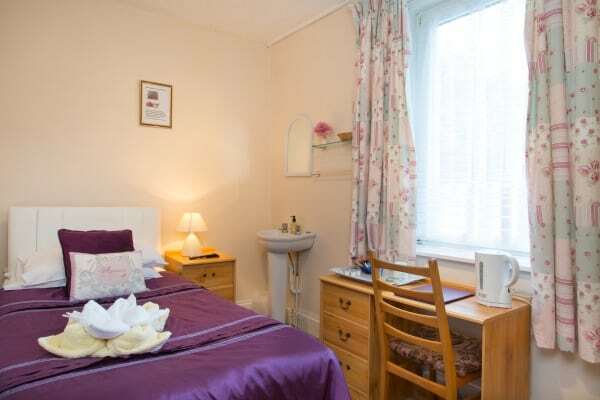 All rooms have free Wi fi. Some bedrooms are en-suite. 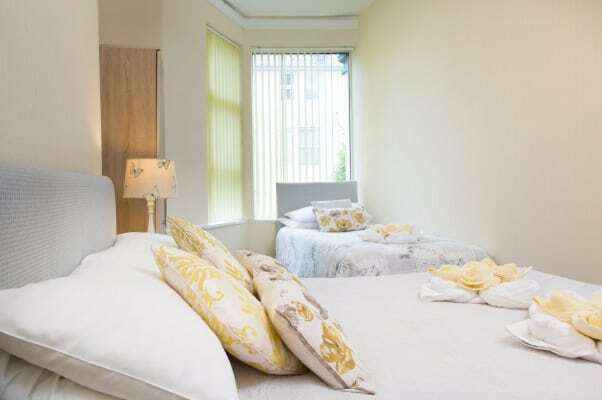 We provide complimentary toiletries in all rooms, and all rooms are provided with towels. 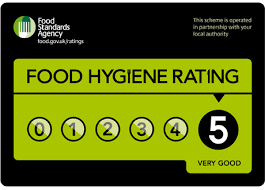 The Firs B&B Plymouth has a 5 star food hygiene rating. We offer a wide range of options for breakfast. Fried egg, grilled bacon, sausage, grilled tomatoes, beans, mushrooms and toast. Beans, mushrooms, vegetarian sausage, fried egg, grilled tomatoes and toast. Croissant, bread roll, ham, cheese, yoghurt, fruit and toast. 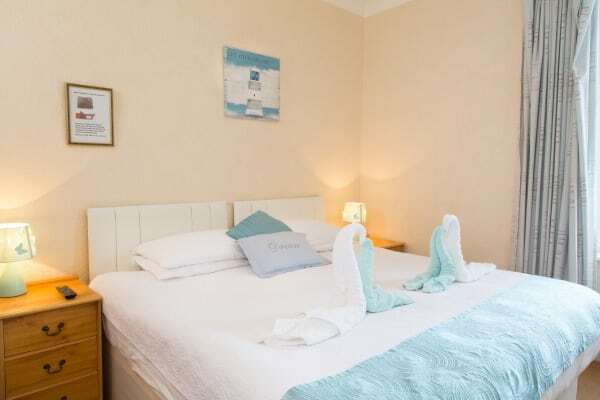 From your base at the Firs B&B Plymouth just 400 yards from Plymouth Hoe seafront, you are perfectly placed to explore the beautiful city of Plymouth and the surrounding area. Plymouth itself boasts a wealth of cultural, sporting and recreational activities that are second to none. It is an ideal destination for short breaks and longer holidays! 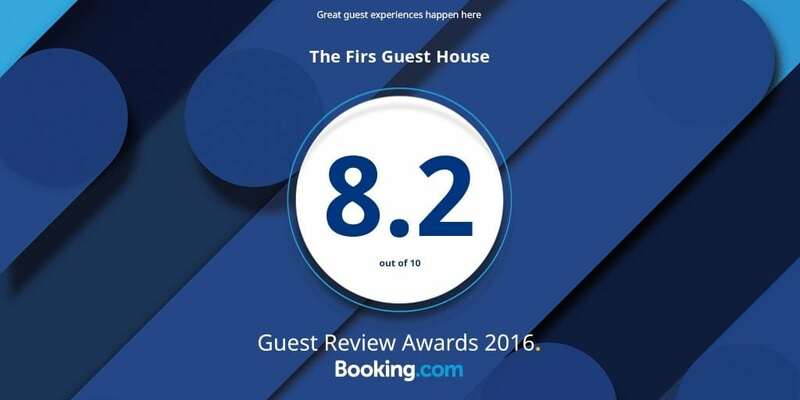 From your base at The Firs, you can explore the stunning counties of Devon and Cornwall and really make the most of your stay. 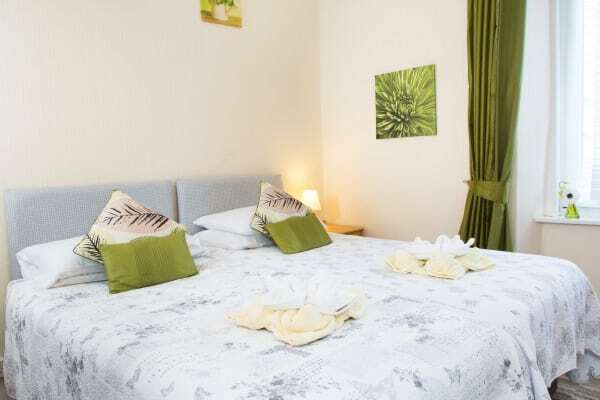 We have 8 lovely Guest Bedrooms for you to choose from split over 2 floors, including Singles, Doubles / Twins and Family Rooms. Click on the button below the pictures to find out more information and to book with us directly – by phone or online.